During the end credits, a cartoon version of Spider-Man runs around New York doing cute New Yorky things. He goes to MoMA, and sees a Lichtenstein, which then morphs into a Lichtensteined Spider-Man. This doesn’t sound like a huge deal right? But here’s why it made me tear up. Roy Lichtenstein created a lot of amazing art, but he also took comics images and used them in his painting. He didn’t credit comics artists, he didn’t do it to shine a spotlight on things people considered “low” culture (as Warhol did, which is why he’s my favorite), he wasn’t commenting on comics as a valid medium. It was, as far as I’ve been able to see, just a gag, not an acknowledgement of art. 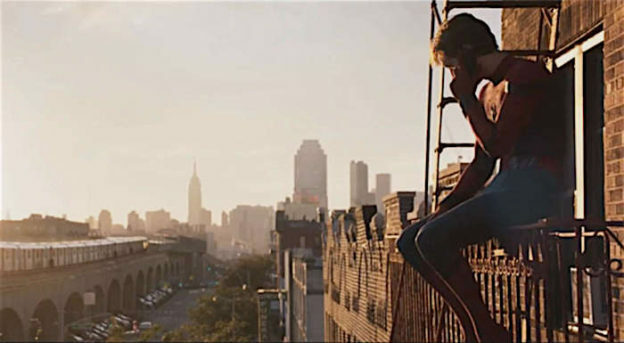 And now, in the end credits to Marvel’s best movie in years, their working-class friendly neighborhood everyman takes that art back. This entry was posted in Uncategorized on 7 July, 2017 by leahs.